ABSTRACT: The identification of unknown human by smile photographs that show specific characteristics of each individual has found wide acceptance all over the world. Therefore this paper shows this situation reporting different cases which smile photograph analysis were crucial to determine the positive identification of unidentified human bodies. All the cases were subjected to personal identification by photographs of smile including one adult male found in an advanced stage of decomposition, one adult female disappeared during an ecotourism trip, and one carbonized body of a male individual found in a forest region. 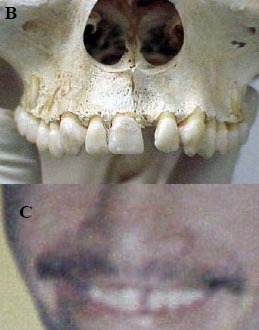 During the autopsy the photographs of the smile were used by comparison of the ante and postmortem images gave accurate and useful information not only about dental state but also the anatomical features surrounding the upper and lower anterior dental arches. This method is not time-consuming and also has the advantage of allowing extraoral dental examination. 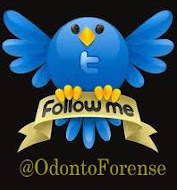 It is also recommended when there is a need to provide quantitative data for a forensic identification based on these structures (Published in: Journal of Forensic Odontontostomatology 2008;27:1:12-17).